PETERBOROUGH, NH -- After dodging the question twice in two days, former Utah Gov. Jon Huntsman appeared to shut the door on running as a third-party candidate for president, if he doesn't become the Republican presidential nominee. "I'm not running as an independent. I'm not running as an independent," Huntsman told reporters after a town hall meeting this morning. "I don't know how many times I have to say that." This is the first time Huntsman appeared to completely rule out a run outside the Republican Party, and it's his most definitive answer to date. Previously, the former ambassador to China seemed to leave the option open, saying he was running in the GOP and planned to win the Republican nomination. "I've been a lifelong Republican. 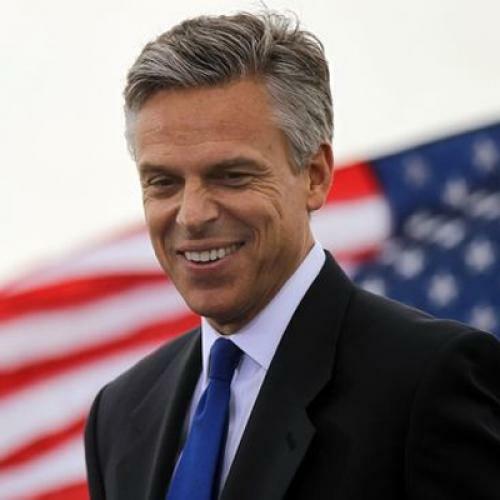 I expect to be the nominee, and that's how we are going to resolve it," Huntsman said, ducking the question in Londonderry on Friday evening. Where have you gone, Christie Todd Whitman...a nation turns its lonely eyes to you...woo-woo-woo.